Coaches: We're Coming Back To Mallorca In May - Join Us There! ~ Feel For The Water! Advice & Tips to Improve Your Swimming. Home » » Coaches: We're Coming Back To Mallorca In May - Join Us There! Coaches: We're Coming Back To Mallorca In May - Join Us There! We hope you are all well and enjoying a great start to 2018! After a super successful course at the Best Centre, Mallorca last May (photos here), we are very pleased to announce that we are returning to this fantastic venue on the Balearic Islands from 24-26th May 2018. We've seen massive demand for the Swim Smooth methodology building across the world over the last few years. 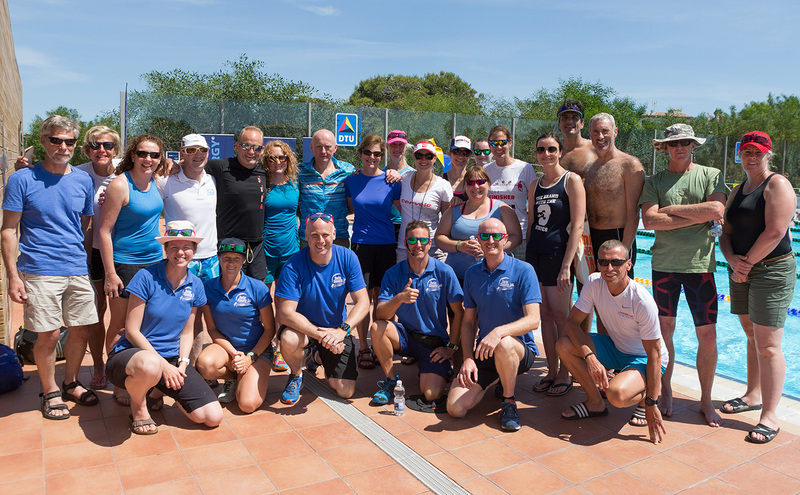 That's great but we're going to need plenty more excellent coaches on the ground to assist with this task and we'd like to offer you the chance to apply for one of the coveted spots on the Mallorca course. We're looking for applicants from across Europe (and even worldwide) for this course. This is the only 3 day course we are going to be running Europe in 2018 - don't miss out! Since we ran our first 3-day Coach Education Course in Birmingham in June 2010 we've had over 400 international coaches complete the course from over 2,400 applicants. Such is the demand that getting onto the course is not easy but those who are successful epitomise what Swim Smooth is all about - you don't necessarily need to be the most experienced coach to be offered a spot, but you do need to show us your passion, commitment and vision for your own swimming and coaching in general. Live stroke correction by Head Coach Paul Newsome is one of the highlights of the course. - Advanced freestyle stroke technique correction methods. Identification of underlying issues in a swimmer's stroke technique and best practise to correct. This covers all levels of swimmer from beginner to elite. 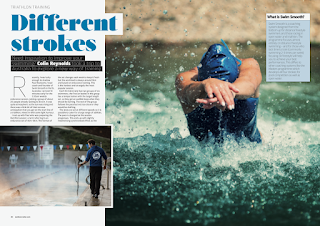 - Detailed discussion of each component of the freestyle stroke. A modern perspective on what is considered ideal for distance freestyle at different levels of competition. - An appreciation of the effectiveness of different styles of different swimmers and in what direction to lead individual swimmers. 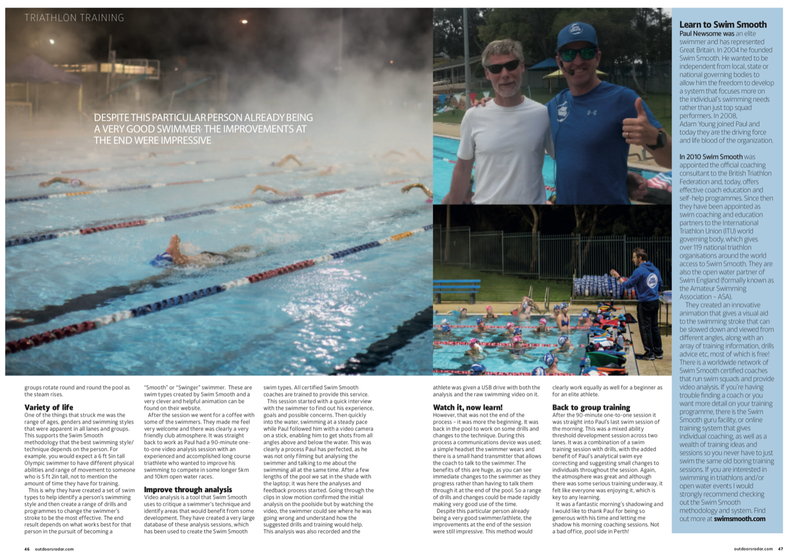 - In depth insight into our coaching system which allows coaches to quickly understand a swimmer's style of swimming - and the fundamental technique issues and personalities behind each style. - Developing a swimmer's catch and feel for the water. Detailed discussion of why this is so hard to do and different approaches for different levels of swimmer. - Observation skills on the pooldeck. How to spot underlying stroke technique issues that are easily missed. - Live stroke correction sessions with volunteer swimmers during the course. - How to use stroke rate to optimise your swimmer's efficiency in the water. - Best practise video analysis of swimmers - equipment to use, best practise filming techniques and analysis of footage. - Improving the effectiveness of your communication with athletes. - How to coach and improve the stroke technique of those swimmers who never seem to improve. - What to do with swimmers who have seemingly perfect technique. - Running a squad program and best practise structure and training sessions to develop your swimmers. - Using Critical Swim Speed (CSS) to develop the sustainable threshold of your swimmers and to encourage better pacing technique for distance events. - The course has a main focus on distance freestyle coaching of adult swimmers and triathletes but will touch on the other three strokes, sprint, junior and elite coaching. Stay on for the Best Fest Swimming Festival after the course and get even more from this swimming paradise! Becoming a fully-fledged Swim Smooth Coach takes substantially more than attending a 3 day course. Whilst we know that other coaching programs around the world allow easy accreditation for anyone and everyone that applies, we fundamentally believe that to become a Swim Smooth Coach requires much greater insight and training than what we could ever provide in just three days or even a week. The beauty of the 3 day course is that it's noncommittal towards seeking full certification, in fact many coaches attend purely for their own development and that's just fine with us. The course is not assessed in any way so you can feel free to really relax, enjoy and soak up all the great nuggets of information and learned insight without the worry of an end of course exam. 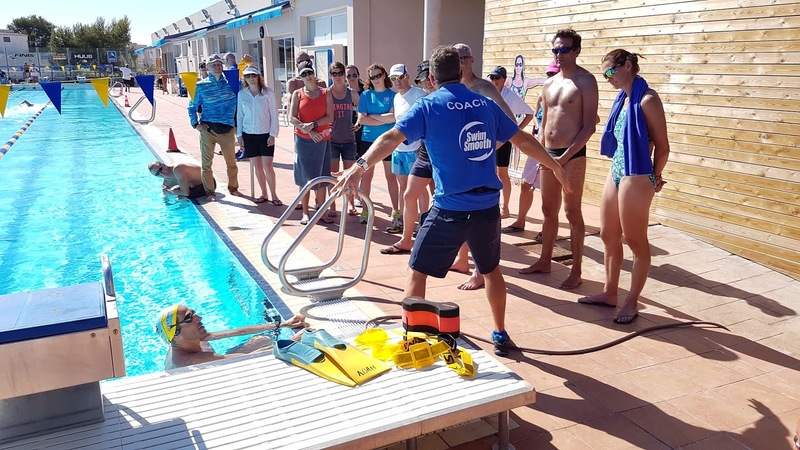 In this way, the 3-day Swim Smooth Coach Education Course either forms the start of a great new journey with Swim Smooth, or simply the start of newly ignited passion for refining your coaching skills to help others improve their swimming! Of course if you are interested in becoming a Swim Smooth Coach and are selected for certification then you will be making the big trip to our coaching base in Perth, Western Australia. What's it like out there? Thanks for the write-up Colin! A rare opportunity to get on the perfect course, with a great group of people in the perfect venue! What's stopping you appling today? We look forwards to working with you there!